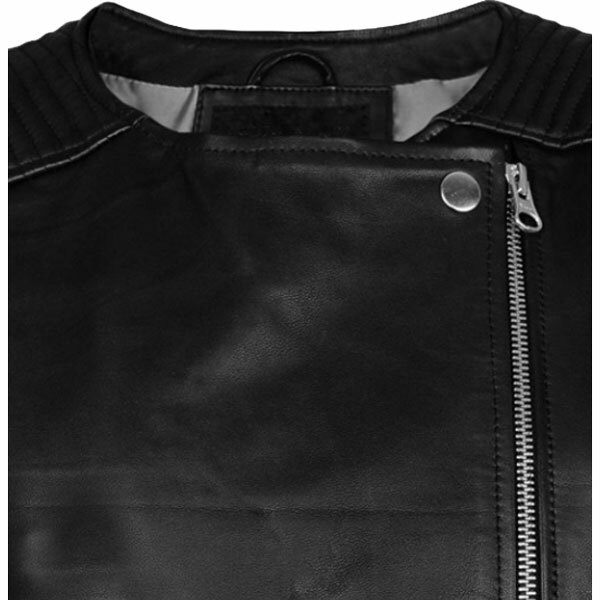 Collarless Biker Black Leather Jacket made with 100% real lamb hide leather, asymmetrical front zip and two waist pockets with zips.Quilted shoulders and arms and also zippers sleeves. 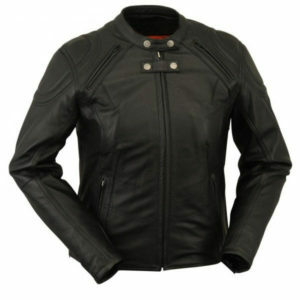 Also available in many colors as mentioned in option list.We do customization as per customer size and color. 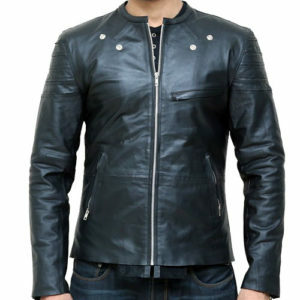 If you need any more customization then you can mention in order note at checkout page.Crafted in Pakistan. 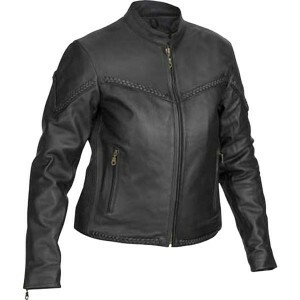 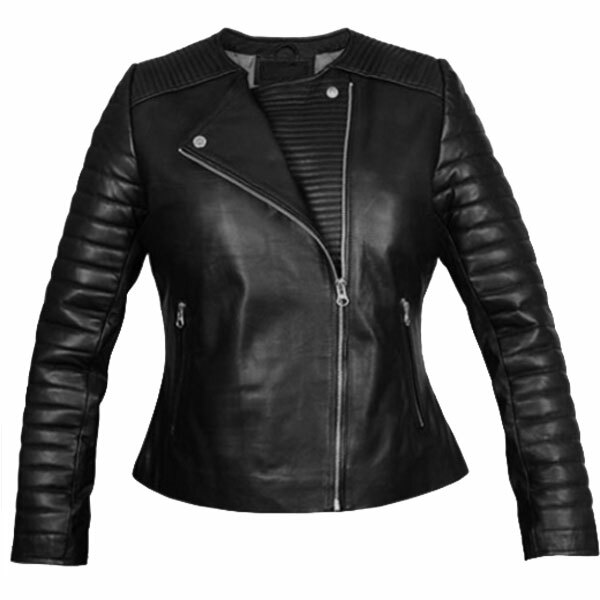 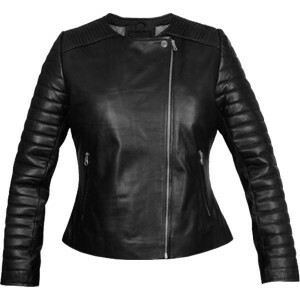 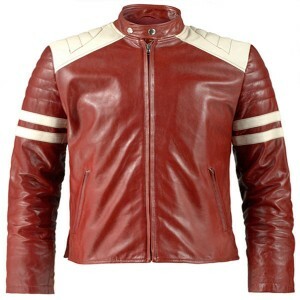 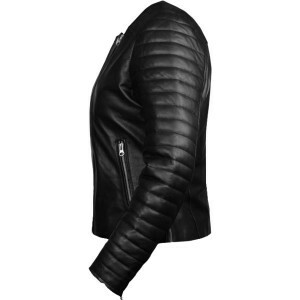 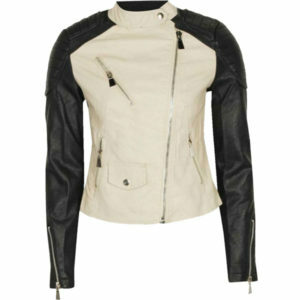 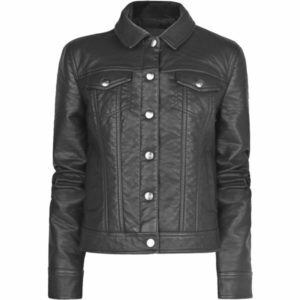 Leather Jackets USA offering Soft and Stylish Collarless Biker Black Leather Jacket for women’s that is designed to protect you from every aspect and its look and feel is very attractive and light weight because it is crafted with pure lamb hide leather. 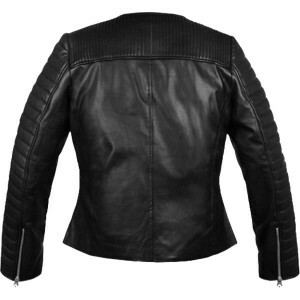 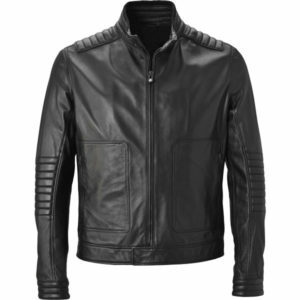 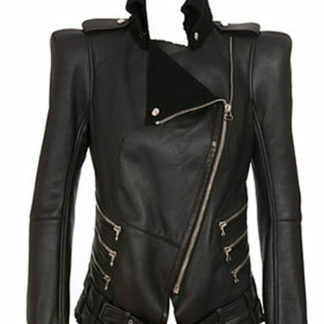 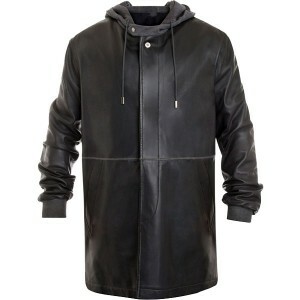 This Biker Black Leather Jacket comes in many colors. 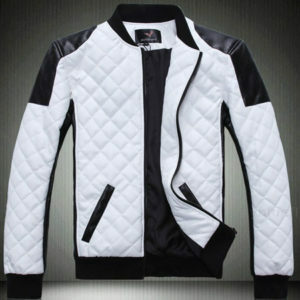 We do customize according to your needs.